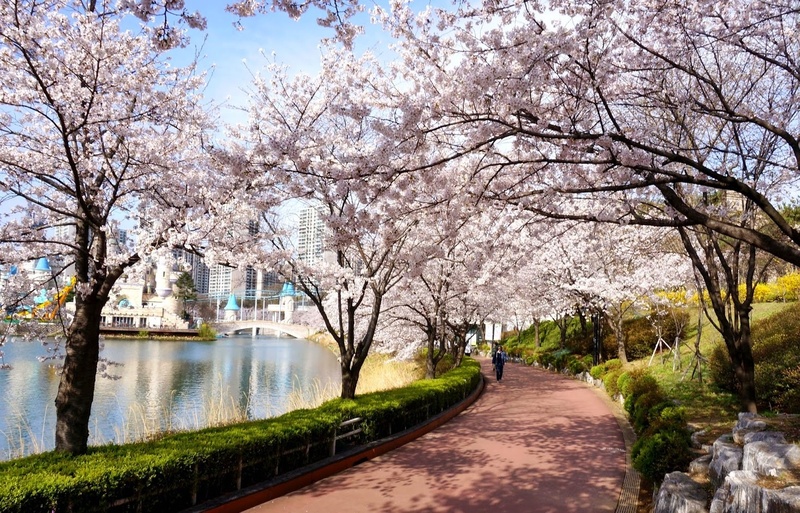 The park is located in Yeouido, Seoul and is known for being the most popular cherry blossom festival in Seoul. 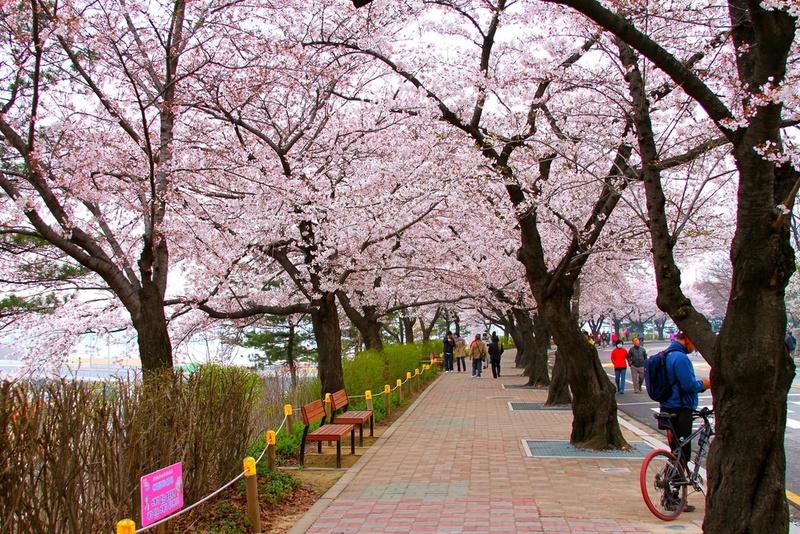 It’s popularity is due to its location along the Han River and the 1,800+ cherry blossom trees. The festival is held on Yeouiseo-ro Road. Warning. It gets very crowded. Seokchon Lake Park is located in Jamsil Songpa, Seoul. 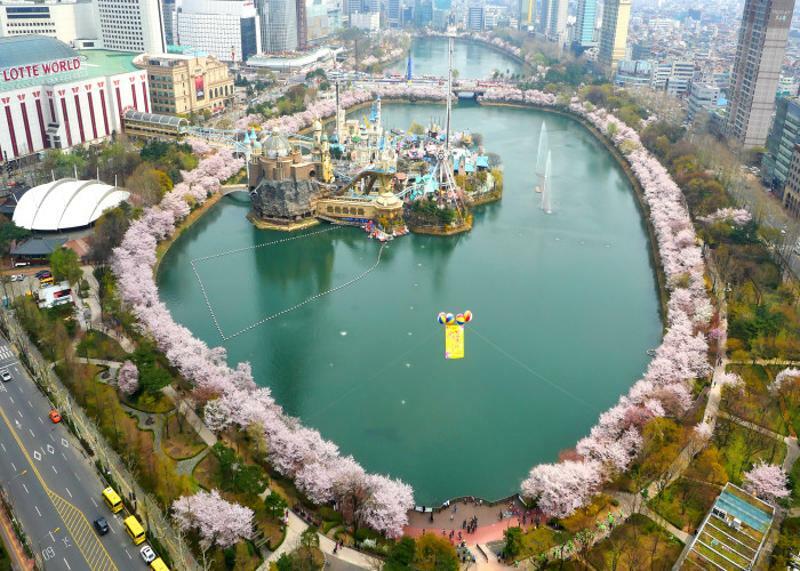 The park’s lake is next to Lotte World Amusement park, Lotte Sky Tower, and Lotte department store. There are a lot things to do in this area, so one can easily experience many things in one day in this area. The park surrounds the lake that the outdoor portion of Lotte World Adventures is built on. The festival here as live music, movie screenings and cherry blossom shows. 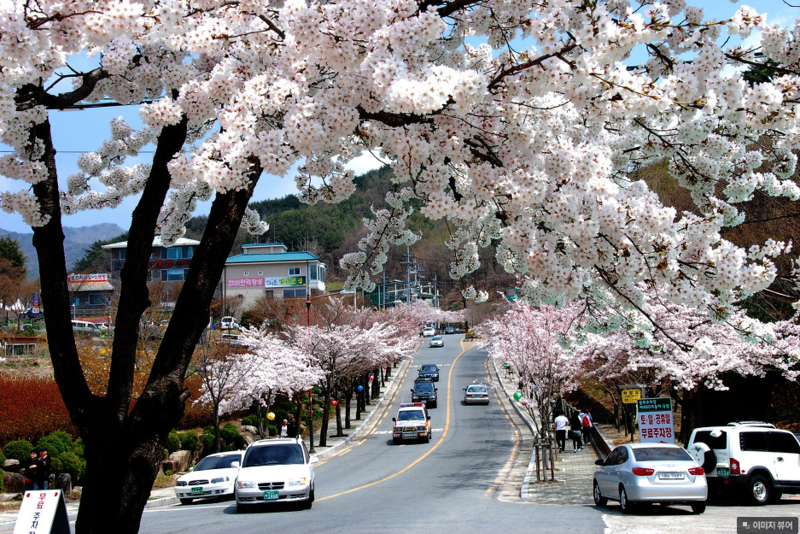 This cherry blossom festival location in Hadong offers many delicious experiences. Since it is a market it is the perfect place to enjoy many traditional street foods. There are many souvenir shops, too. 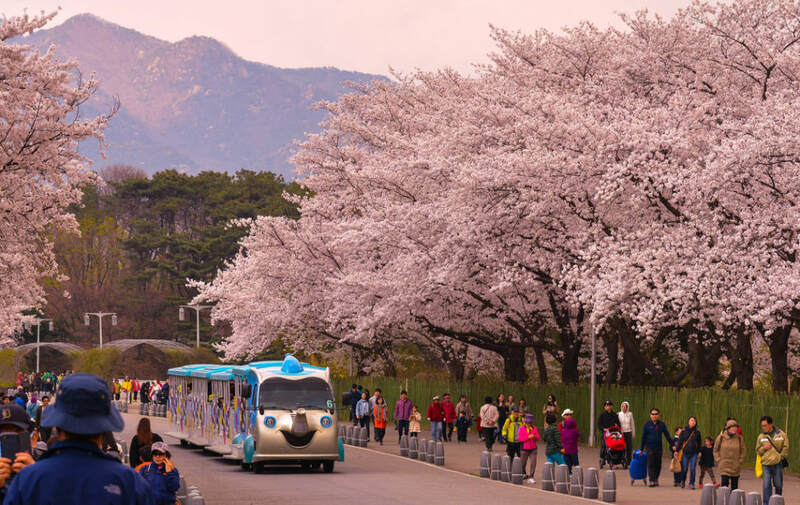 Moreover, this festival is famous for its ‘10-ri Cherry Blossom Road’, which is also known as the ‘Marriage Road’. There is a legend surrounding this road that states any couple that walks down this road will eventually marry. 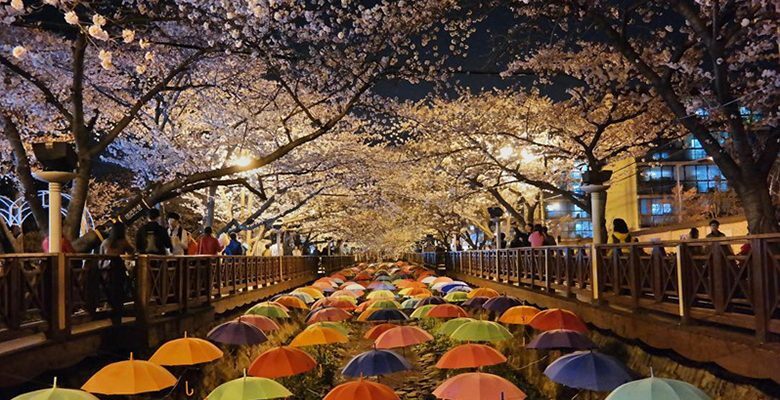 Do you have anyone in mind that you’d like to walk down the breathtaking, cherry blossom draped Marriage Road with? Do you like riding a bike? 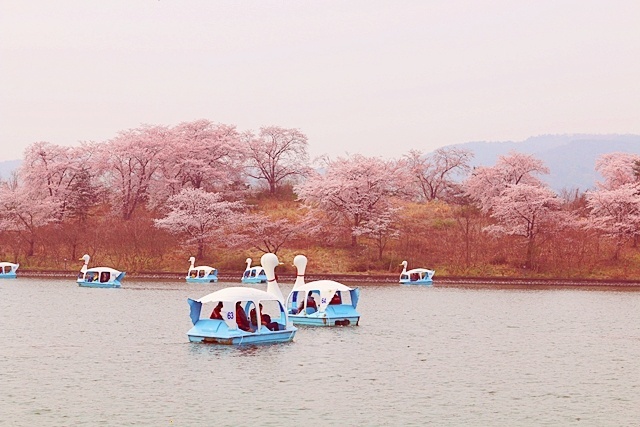 The Gyeongju Cherry Blossom Race is held every April and Bomun Lake has one of the tracks for the event. 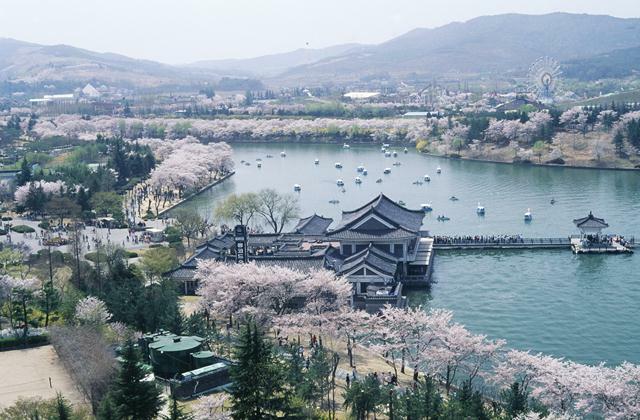 The lake is a large artificial lake located in Gyeongju. There area was designed to attract tourist. One can rent a bike to enjoy the area. Also, there are duck boat rentals for friends or a date. This beautiful mountain is located in Daegu. Palgongsan Mountain is known for ‘Gatbawi’ - a famous statue of Buddha. The Palgongsan Natural Park is an ideal location to enjoy cherry blossoms and a nice hike. The park is carpeted with azaleas.